- Color : This oil is clear to yellowish in color. Our range of Charoli Dry Fruits are tiny almond-flavoured dried seeds of a bush called Buchanania lanzan, which is cultivated across India, primarily in the northwest. After the hard shell is cracked, the stubby seed within is as soft as a pine nut. They are commonly used in sweets in India. Botanical Name: Buchanania LatifoliaCommon Name: ChiraunjiCategory: Dry FruitProduct Description:Part: SeedsUse: Roasted seeds are used as dry fruit. Seeds are used as condiment and to increase flavour in various sweets. Minimum Order Quantity: 50kg Bag. We have founded ourselves as a recognized suppliers of Charoli Seeds. Charoli Dry Fruits are a type of soft seeded dry fruits that have a wide range of applications in Ayurvedic treatment. Backed by experienced professionals, we are involved in offering Chironji Seed. Chironji Seeds (nuts) or Charoli Seeds are used as a cooking spice. It is commonly known as 'charoli'. Charoli are tiny almond-flavoured dried seeds of a bush. The charoli seed is lentil-sized, is slightly flattened.Though they can be eaten and used raw. We have been able to offer our clients a qualitative range of Charoli Seeds. We offer Chironji Seeds also known as Charoli Seeds in the Indian market. The Chironji Seeds, we supply, are demanded widely by the clients as they are extensively used in Dry Fruits. 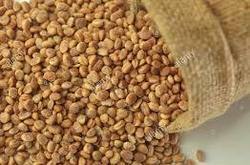 The clients can avail the Chironji Seeds from us in varied quantity at the market leading price.